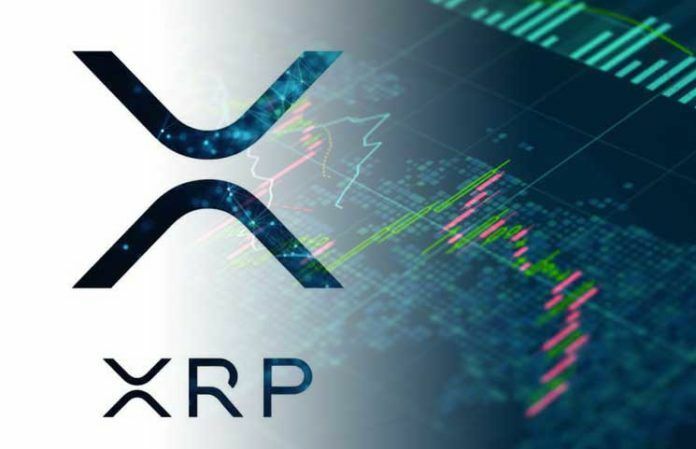 XRP is one of the biggest alternate coins ranked by market cap, currently being ranked #2 trailing only Bitcoin and having a total market cap of $12,288,765,748 . Furthermore, on February 2nd Böerse Stuttgart Group, which is the 2nd largest stock exchange in Germany and ranked 9th in Europe have released their trading application called BISON, which supports numerous cryptocurrencies, XRP being among them. 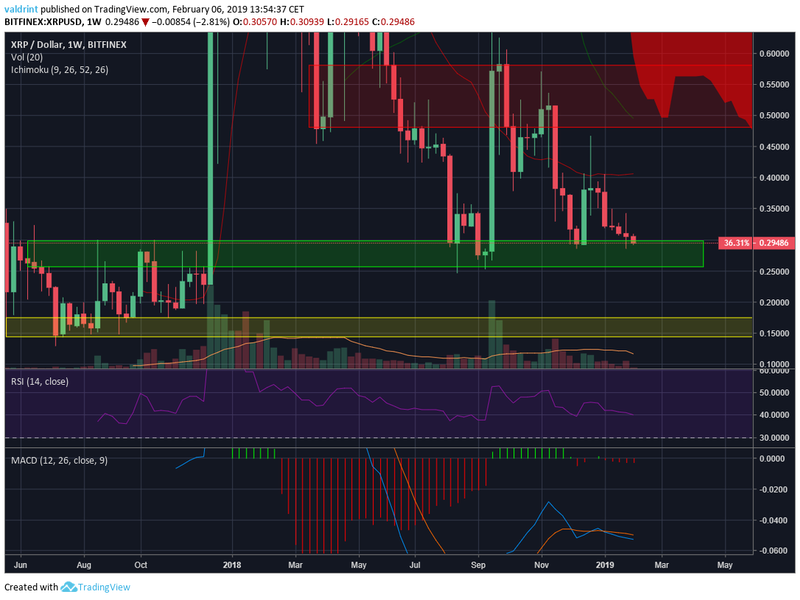 A look at the Weekly chart for XRP shows that price is trading within the support area of $0.27-$0.30, currently trading at $0.294. In case the support area fails, the next one will be found at $0.14-$0.17. Conversely, the major area of resistance is found at $0.48-0.57, formed by recent highs of September 2018. Price is trading below the 7, 21 period moving averages and the Ichimoku Cloud. However, the 7-period moving average is steadying while the 21-period MA is sharply dropping, possibly setting themselves up for a bullish cross. The RSI is at 41, indicating neither overbought nor oversold conditions. The MACD is showing signs of weakness and after a long consolidation period it has started to fall with increasing strength. A look at the Daily chart shows that price is trading below all the moving averages while facing very close resistance from the 7-period moving average, which has made a bearish cross. Price has failed to break above the 7-period MA since Early January. However, there is a part of the projected Ichimoku cloud which is positive and could possibly allow for price to breakout. The cloud coincides with the resistance line that has been in place for seven months (red line). The MACD is very close to making a bearish cross and has lost all of its power. The RSI is at 41. 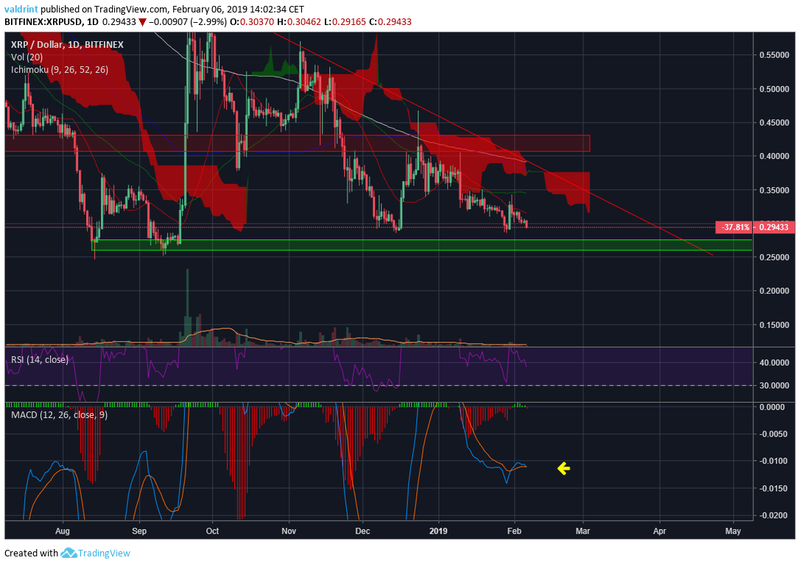 The next significant area of resistance is found at $0.41-0.44 while the next minor support area is found at $0.26-$0.27. A closer look at the 6-hour chart shows that price has fully retraced from the initial upward move from $0.28 (December 18) to $0.45 (December 24). Furthermore, price has made a double bottom and is close to the support area at $0.28. We can see that price is trading in a descending wedge (bullish pattern) and has been doing so for 44 days. 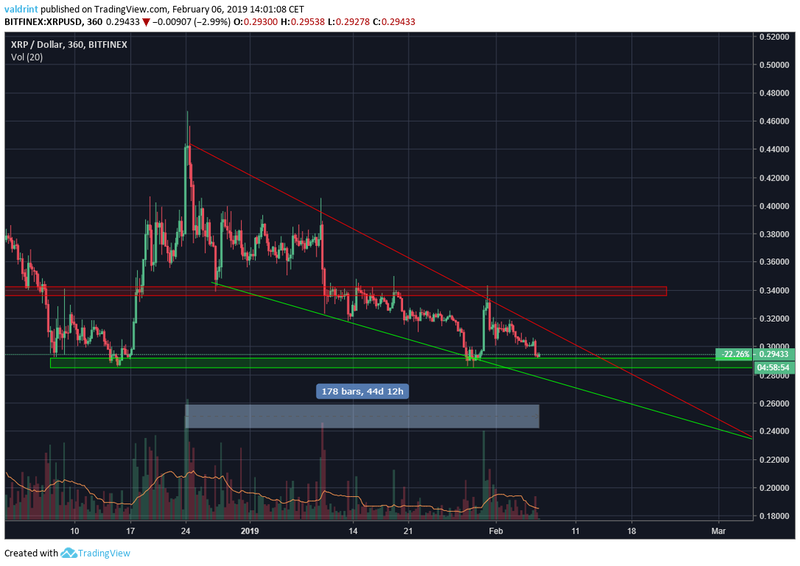 However, it is mandatory to keep an eye on the triple bottom scenario, in which price breaks down after falling to the bottom of $0.28 for the third time. The next minor resistance area which price has unsuccessfully attempted to break three times is at $0.34. Price trading is below most moving averages in medium and long time-frames. Price is trading in a short-term descending wedge with resistance near $0.34.